Create your own die-cut shape to maximize security and enhance your branding or theme. 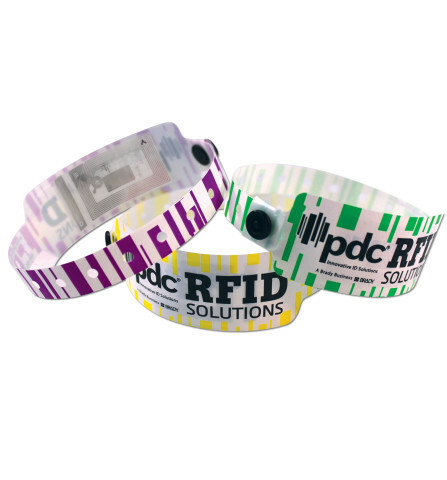 Non-transferable, high-security wristband with a securely sealed RFID tag inside to reliably store and transfer data. The data is accessed by RFID systems. 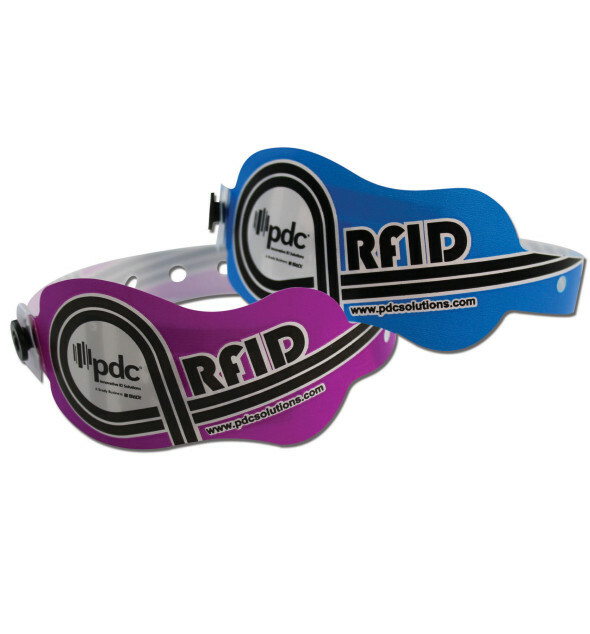 Material: Constructed of waterproof, non-stretch plastic with a patented SecurSnap closure for one-time use. Lead Time: Ships 10 weeks from date of artwork approval & payment terms. Lead time may vary pending RFID inlay availability. Custom die-cut fee applies. 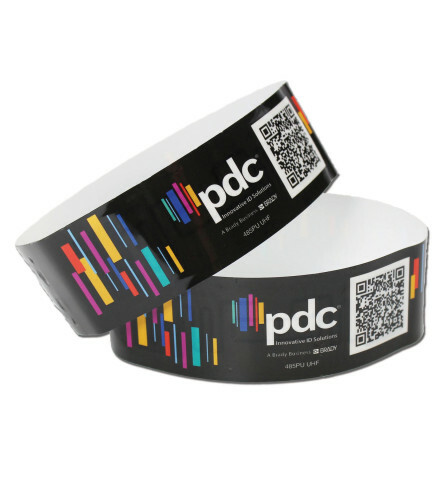 Custom print your logo or message on PDC Smart® SuperBand® 473 wristbands. Include your logo, website, phone number, and slogan to boost your brand, promote special offers, or raise awareness for special events! 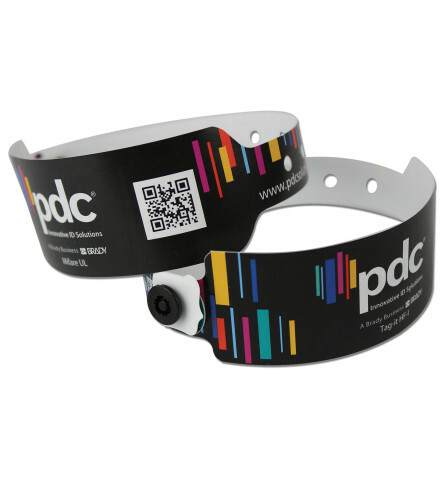 Design your unique PDC Smart® SuperBand® 473 wristband within the parameters below. ■ Front of band: up to 2 lines of 8 digits per line. ■ Alphanumeric digits are capital letters and numbers ONLY. ■ Alphanumeric digits are 0-9 and A-Z excluding the letters “I” and 0″ (34 possibilities). ■ Capital letters, numbers and punctuation. ■ All printable Standard ASCII characters.